We will realize your childhood dream about free flight! 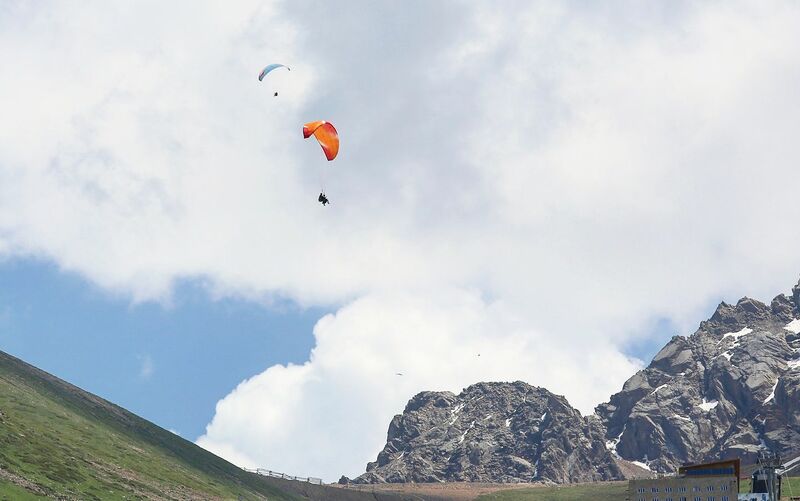 Paragliding is the easiest and simplest way to feel fun and joy of the real flight. Feel of being a bird, floating in the sky and staring at the beauty of Zailiysliy Alatau and your favorite resort. We are waiting for you in every season! Unique mountain landscape each time opens its wonders from a new side: snow-covered slopes in winter and vivid and blossomy green of nature in summer will not leave you indifferent! Impressions of the flight over the slopes and enjoyment from a panorama of mountains and beauty of the resort opened up before your eyes will stay with you forever. 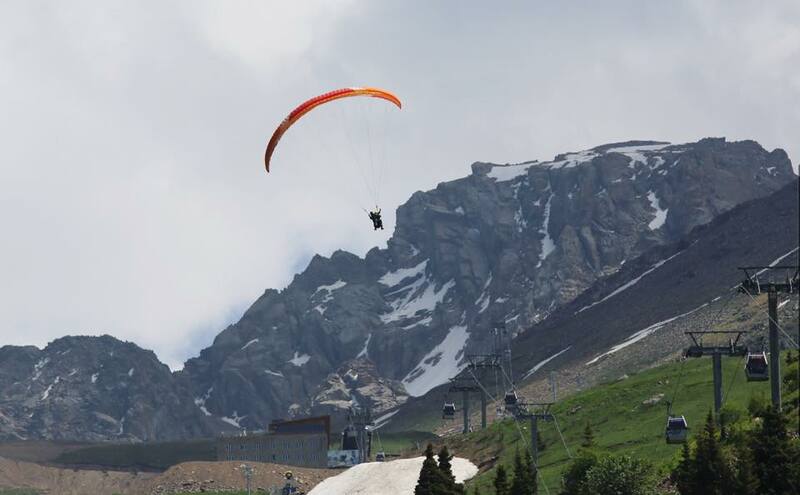 The flight takes place in tandem (a two-seater paraglider) with a professional pilot. Launch height is 3200m. The flight starts from Talgar pass and ends at Shymbulak base station.